Turn in Your Drugs, Ask For Help, and I Won't Arrest You. Seven months ago, when I sat down at my computer, logged onto the Gloucester Police Department's Facebook and started typing, I never would have imagined the immediate response it would garner and the whirlwind of events that have followed. On June 1, we launched the Gloucester ANGEL Initiative. Any person, suffering from the disease of addiction, can walk into the police department, turn in their drugs and ask for help. No arrest. No charges. No jail time. I did not know what the reaction would be. A few said we were nuts, a few puffed their chests and said we lacked the authority to do so. We disagreed. A police department answers first and foremost to its community. Always. The Gloucester Police Department is a public safety agency. We, the officers and staff, were not helping our community by dedicating all of our resources to arresting, releasing, re-arresting, reviving, and finally burying people suffering from addictions. We see a pattern of crimes that only occur because people need money to buy drugs. We saw an opening. The ANGEL Initiative's goal is to help facilitate people with the disease of addiction into treatment, not jail. For over half a year, that's what we have been doing. Each person who comes into the station is paired with a volunteer "angel," who, along with our officers, work to place that individual into one of our partner treatment centers for detox and long-term recovery. More importantly, they are treated with respect, dignity and compassion. Even after more than 25 years in law enforcement, many as a plain clothes narcotics detective in Saugus, Massachusetts, where I saw lives ripped apart and destroyed due to drug addiction, the community had given me hope. We hit the ground running, placing 17 participants into treatment within two weeks. But there was still more that needed to be done. I partnered with businessman and Gloucester resident John Rosenthal to launch the Police Assisted Addiction and Recovery Initiative (P.A.A.R.I.) 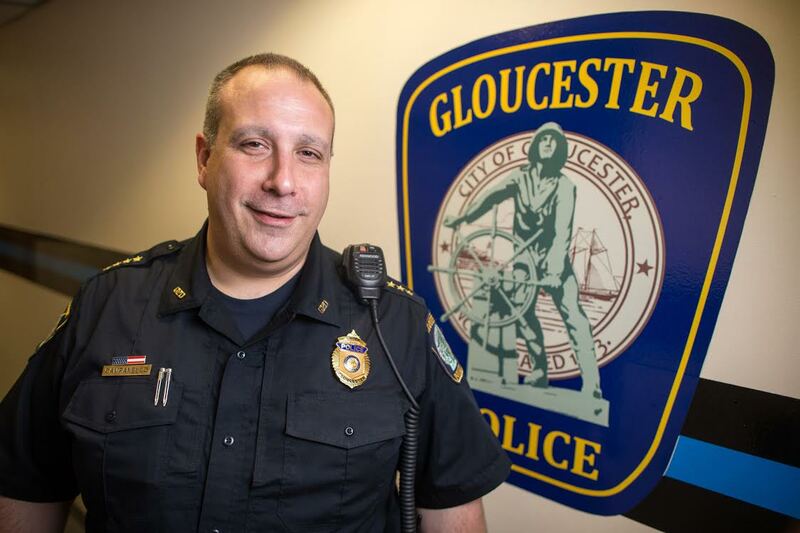 - a non-profit designed to support the Gloucester Police Department in its efforts and to aid other police departments looking to implement similar programs in their communities. We created a network where police could come together to open the dialogue about addiction and work toward a commons goal: ending the opioid epidemic. To do what we are best at, fixing broken things and holding entities accountable. We were willing to change our approach to help people and we damn sure expected others to follow suit. We traveled to Washington, D.C. to meet with our nation's leaders where we lobbied for change at the state and federal level. Our conversations were positive, but I have been discouraged recently to learn that the federal government has cut off federal drug seizure money to police departments. We have WHOLLY funded the ANGEL Initiative using seizure funds - not a dime of taxpayer dollars has been used. We have received support in unexpected places, however. At first, we had to reach out to treatment centers, begging for "beds" for participants. Now, they come to us, giving P.A.A.R.I. a tremendous database of treatment centers and options for our participants in two dozen states. Gloucester placed its 100th participant into treatment in August. Today, we have placed more than 350 people in treatment. We also saw a 1/3 drop in property crime associated with drug addiction in summer 2015 versus summer 2014. The majority of people seeking help came from Gloucester and our neighboring towns, but there was also a percentage of those who were traveling from outside the state and across the country to get assistance overcoming their addiction. This said something to me. It meant that our message was spreading and that more help was needed for those not in the direct vicinity of Gloucester. Police departments, beginning with Arlington, Mass., began creating their own version of the Gloucester ANGEL Program to combat and treat opioid addiction. One by one, more and more of our law enforcement partners started campaigning for change. Today, P.A.A.R.I. has partnered with over 45 police departments in Massachusetts, New Hampshire, Maine, Vermont, Connecticut, Pennsylvania, New Jersey, New York, Florida, Virginia Illinois, Michigan, Missouri, North Carolina, Ohio and Texas. It's impossible to not be proud of the progress we've made in less than a year, but to also know that there is still so much more to be done. In late December, I received word that one of the Gloucester ANGEL Initiative participants had died of a heroin overdose. I knew we would lose people during this process, but that didn't make it any easier. I was both honored and shamed when the family asked me to give the eulogy at her funeral a few weeks ago. Honored that they are so appreciative of the help we had offered, ashamed we couldn't do more. These people are not junkies. They are not nameless, faceless statistics. They are daughters, sons, fathers, mothers, and friends. In 2015, more of them died than ever before. This is not one man's crusade, it is a society's responsibility. There is no achievement in reaching out a hand to help someone in distress. There is achievement in listening and responding to a community. Our work is just beginning. --Leonard Campanello is a Police chief in Gloucester, Massachusetts who has decided to scrap the 'War on Drugs' for a more practical approach- offering a helping hand and friendly ear to heroin addicts in the town. Under his watch, people dependent on opium are now be able to seek support from the local cops- even if they have drugs in their pockets.